The magi, as you know, were wise men — wonderfully wise men — who brought gifts to the Babe in the manger. They invented the art of giving Christmas presents. “The Gift of the Magi” is a classic Christmas story about two young people who very unwisely gave each other Christmas gifts. Sometimes Christmas gifts can be wonderful, even when they are unwisely given. But it’s better when gifts are both wise and wonderful. In the story below, I have related to you the tale of one of the the most wonderful and wise gifts that I ever received. I hope it will inspire you to give wisely. It is my fondest hope that out of all the Christmas gifts given this year, people will say that yours … yours were the wisest. Should your plans include giving the gift of a language learning program this year, I’ll tell you how to do that too. When I was in high school, I was very interested in ham radio. Now my father thought that ham radio was fine, but he wanted to motivate me to do well in English too. My father motivated me to get an A in my English class by promising to buy me this ham radio. I worked really hard in my English class, and when I got my grade, I got an A.
I called my father on the phone from school and excitedly told him that I got an A. I expected that I might have to wait a couple of weeks for him to buy the radio and for it to arrive. I ran about a mile across farmers’ fields from the school to my grandmother’s house, where she was delighted to hand me my ham radio. I hope your gift giving this Christmas will be as wonderful for you as that radio was for me — and my father — back in high school. A gift for which you will always be remembered — and thanked. What more could you expect from a gift? What better way can you imagine to show true love and appreciation in giving? With a second language, you will be sure to be remembered forever, and you will know that the receiver will benefit for as long as he or she lives. There really is no better gift. This special Christmas offer is your chance to give four times but pay only once! That’s right, you can give four people a second language for the price of one. Tell us the name and email address of one of the recipients during checkout (email us the other three when you are done). You’ll help four people learn a new language — all for the price of one. As an extra festive bonus, be sure to tell us the cell phone number of the receiver. We will send a personalized text message to her or him on Christmas Eve. 1. Select your language below (or the Super Package) and complete checkout using your email address. 2. Print out your language home page and wrap that up with a card. 3. When you present your gift of our software to the person you love, email us the name(s) and email address(es) (up to four people) of the ones to whom you are giving this gift, and we will create and activate their account(s) within 24 hours. Starting on Christmas Eve through Christmas Day, we’ll be sitting around our computers … like Santa’s elves … cheerfully waiting to activate your gift accounts. Don’t worry about us, we’ll be happy little elves! 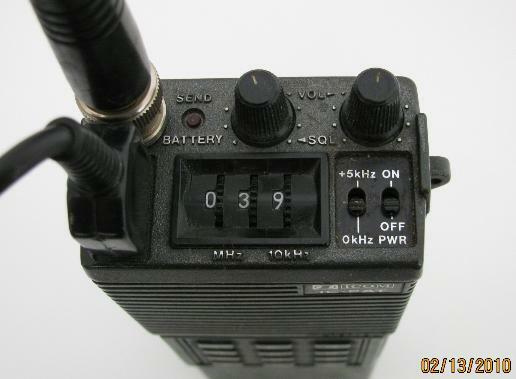 Special thanks to Tracy Advertising for the picture of the Icom IC-2AT ham radio.